It is not uncommon for people to blame the stars in their natal chart for whatever defect of character they might possess. This idea is largely due to the modern revival of astrology, greatly inspired by some of the tangents of C.G. Jung. Jung was occupied with astrology, as he was with alchemy and Gnosticism, he saw astrology as the summation of the psychological knowledge of antiquity – and thus he held a firm traditional base at heart. Jung was a pioneer and as all pioneers he went through a rapid succession of changes, ending with his Gnostic revelry known as ‘Seven Sermons of the Dead’ and his ‘The Red Book’. Up to this time his thinking was riddled with attempts and broken and reconstructed hypothesizes. He wanted to reintroduce traditional Platonic ideas into science and particularly psychology. Sadly it is not his conclusions he is remembered for, rather some stepping stones towards his summation. This is not uncommon; the same fate befell his teacher, Freud, who is basically remembered for Oedipus and a general sexual obsession with man’s psychopathology. Jung got at times lost in symbols and his thoughts about the archetypical world. Plato, the student of Pythagoras, saw the archetypes as confined to the realm of divine and pure ideas, immutable. It was these ideas that got bastardized and treated as changeable that was thrown into ‘the chambers of the unconscious’ where the soul spoke through dreams and memories. It was here things went into an odd direction, where we find archetypes defined as ‘foxes’, ‘tricksters’ ‘wise old men’ and so forth. The immutable ideas have been subject to a fall and imprisoned in the human and finite psyche of man. Now, personally, I don’t believe this was Jung’s intention, after all he also said repeatedly that we need to analyze the movements of heaven to understand our own character and actions – what came to be understood as our own mythology. So, what we find is a distinct inward turn, where the archetypal world of ideas is turned into a psycho cosmos belonging to someone in particular and here every mundane repeating trait risk the definition of an archetype. Modern dictionaries do define archetype as an original model – and the term is subject for an evaporation of cosmic meaning and truth quite proper for how modern astrology works. Ah, and not to forget, for Plato the archetypes represented ideas - and ideas were all potencies of irrevocable truth - divine principles that caused and sustained creation and all things created. 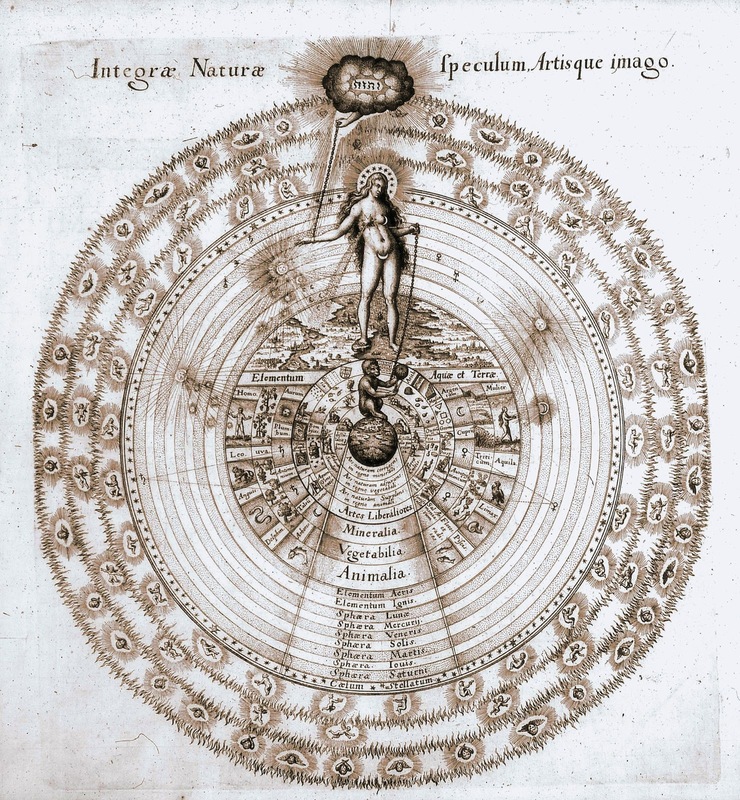 With the advent of modern psychoanalysis and astrology we also gained a distorted focus on the microcosm. Since man was a cosmic world in its own right – it was sufficient to look at man and in man find the starry patterns that matched this astro-psychological microcosm. All of a sudden the stars spoke solely about YOU – a discipline in classical and traditional astrology is known as natal astrology, and is certainly just a part of this sacred science. Traditional natal astrology defines what is dignified and debilitated in your chart and several predictions can be made in reference to your natal chart. Also, all practical matters, such as relationships of any form, wealth, death, fame, sickness and so forth can be predicted. Your nature is basically a component relegated to the first and tenth house with planets in dignity and your ascendant contributing to give colour to how the constitution of your soul might be. With Jungian astrology the whole zodiac became a map of the soul and also there came an excessive interest for slow moving planets like Uranus, Neptune and Pluto to be like a hidden company of zodiac rulers. Traditional astrologers are often given a rap not to pay attention to these planets – but we do pay attention to them – but only if they are in significant aspects. In my own case Neptune is in a platic trine with my natal Moon – so I do give it some value, but in general we are speaking of the spirit of the world and not the individual with these three outer planets. When we start to add trans- to these planets and have trans-Pluto and trans-Neptune running around, well, the plot can only thicken as the intrigue grows greater! Now, I must also add that I do understand the use of these terms in the sense of trying to define a particular current, hell, H.P. Lovecraft was clearly trans-Pluto and trans-Uranus in how he received his trans-Neptunian dream teratomas and other monsters of imagination and origin. Then we have all the asteroids and satellites that are also given value, like Pallas, Vesta, Chiron, Dionysus and so forth. Somehow the replicate the Arabic parts, that Al Biruni developed a map of the soul, but they were in turn rooted in mathematical relationships between stars - and thus the allegory falls dead – or does it? We have today, two such mathematical points, namely Lilith and Dionysus. Lilith being the black moon (earth) and Dionysus being the black sun (earth), they are both mathematical points of friction given names from pagan pantheons. So, we find a succession of Al Biruni – but without the connection to source he held – and further the assignment and understanding is based upon modern tenants where the microcosmic man is treated as he or she is dislocated from the macrocosmic ideal. Modern astrology opens for introducing special stars so one can feel more special… because after all, it is about unlocking what is a captive in your unconscious. Unconscious, what a nonsense word – if it is forbidden for conscious, how the hell can you even think about it – even less bring what you don’t know into vitality? If it is you that keep something you don’t know imprisoned in your psyche, why would you ever bother with releasing it – after all you don’t know it is there. Today when people do this or that and you questioned it you can hear people telling you from time to time that they were a victim for the prisoner in their unconscious min or that they could not do anything else, because of their natal chart. Ah, blaming others or blaming the world – what a wonderful tragedy of self seduction! Whenever I see these rambles, excuses and explanations, I see time being wasted, because we are all unique – for good or for bad. Some of us fall prey to the masses; others force a track for themselves. A man ruled by mars, who is embraced by Jupiter will be fierce and just as a woman embraced by Saturn and ruled by Mercury will be a solution the problems of anyone. This is the traditional nerve in astrology. Astrology is not about finding out how ‘special’ you are – it is about finding out what the stars holds for you, so you can make your fate and complete yourself. Modern astrology tends to exalt whatever is good in you and give people a false sense of self esteem. In our day and age, people needs this, it is all so easy to drown in the ocean of flesh and opinion – falling victim for the norms and morals of modern society as they lure you with pleasures and distractions. I think, it is when you cease searching for being special, you will truly be special – a unique manifestation of a congregation of stars and planets guarded by a host of daimons that push and pull, so you can move towards your Fate.